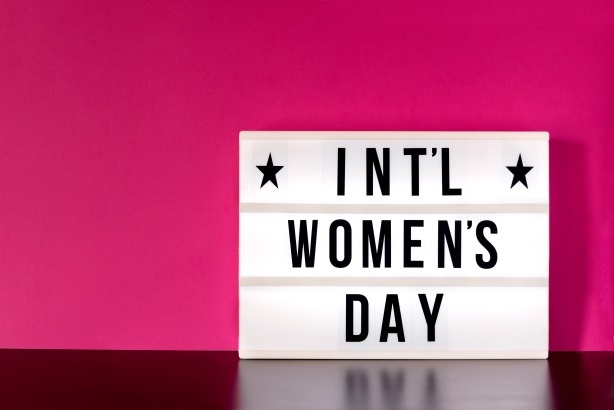 Every day should be cause for celebration of the women who lead the way in the PR industry and the emerging young talent who represent the next generation of communications leaders. However, International Women’s Day feels like a particularly apposite occasion to sing their praises, in an industry where about three in every four PR pros is female. As PRWeek’s annual Salary Survey demonstrates, the struggle for equal pay in PR continues, with women still earning less than men. This year’s survey will be released early in April, and is set to show that, at last, the tide may be turning and the data is finally demonstrating a leveling up of the gender pay gap – but there is still a very long way to go and there’s no room for complacency. Over the years, PRWeek has produced masses of content about women in PR, culminating this week with our 2019 Women to Watch list, which will be followed next Tuesday by the unveiling of this year’s Hall of Femme honorees. International Women's Day is a reminder to keep pushing forward - Soon Mee Kim. Stop describing powerful women as 'badass'; it's just patronising - Hannah Watson. Newsmaker: Dorie Klissas, VP of marketing and communications, Mount Sinai Medical Center. PRWeek U.S. partners with Step Up on 2019 Hall of Femme. Newsmaker: Jennifer Kuperman, head of international corporate affairs, Alibaba. Last year's Power List had a woman in number one position - Burson Cohn & Wolfe's Donna Imperato - for the second time since PRWeek started producing it. 2018 Power List shows shift toward female leadership in PR. What my 5-year-old son thinks of female empowerment ads - Diana Bradley. Newsmaker: Nathalie Moar, EVP of communications, Combs Enterprises. PRWeek Hall of Femme 2018 and Champions of PR. Newsmaker: Jennifer Skyler, CCO, WeWork. PRWeek Hall of Femme 2017 and Champions of PR. PRWeek U.S. Power List 2017 - featured a woman at number one for the first time, Omnicom PR Group's Karen van Bergen. PRWeek's inaugural Hall of Femme - 2016. Newsmaker: Janice Kapner, SVP, corporate communications, T-Mobile. Today is also a great opportunity to pay tribute to all the wonderful women who contribute to the success of PRWeek on a daily basis, so take a bow Diana Bradley, Maia Samuel, Joann Whitcher, Brittany Aron, Kara Giannecchini, Allix Berkman, Livvie Zurlini, Aleks Vayntraub, Lindsay Stein, Alison Kanski, Carrie Gavit, Tracie Palmer, Chaeli Marinelli, Jennifer McLaughlin, Kim Cataldi, Louise Boyle, Edelyn Sellitto, Emma Golden, Tracey Harilall, Adele Durham, Maggie Keller, Anna Naumoski, Nicole O’Neill, Amanda Hassler, Bianca Andia, Kisha Allison, Rinagrace Sapang, Katharine Volpe, Jourdan Davis, Carmen Burgos, Donna Santarpia, Paula Fox, Lindsay Maraviglia, Crystal Zhang, and Taylor Pisani. I also want to take this opportunity to pay tribute to Bernadette Casey, someone who worked alongside me for most of my nine years at PRWeek in the U.S. and who has recently moved on to new adventures. As well as being a great help to me personally, Bernadette has been a terrific mentor and tireless advocate for women’s empowerment both within and outside Haymarket Media, and she will continue to contribute to PRWeek and MM&M on a freelance basis moving forward. We wish her well in her new endeavors. On this special day, let’s celebrate female empowerment and all the fantastic women working in the PR profession - and let's continue to bang the drum for equal pay for equal work and an end to gender discrimination in terms of salaries.